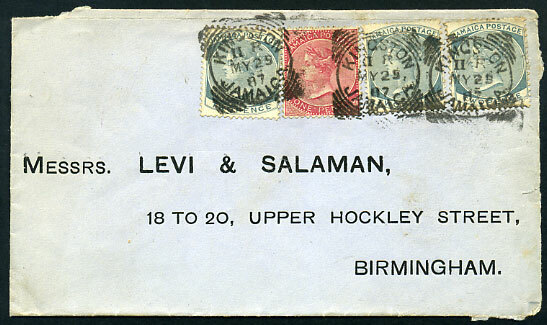 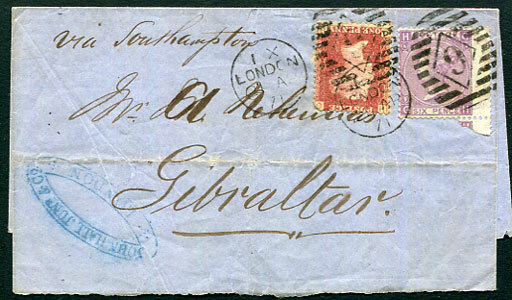 cover with QV 2 x 2d paying UPU 4d rate postage to Birmingham plus QV 1d, 2d paying 3d Late Fee pmk'd II R/MY 28 87, most of cover reverse removed. 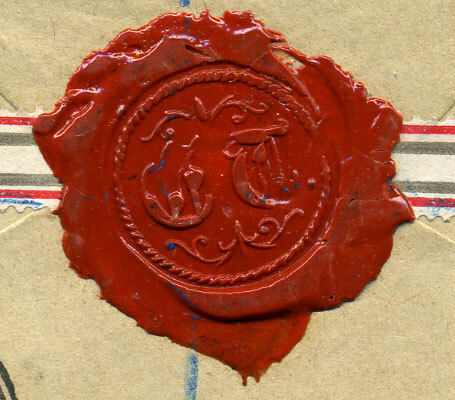 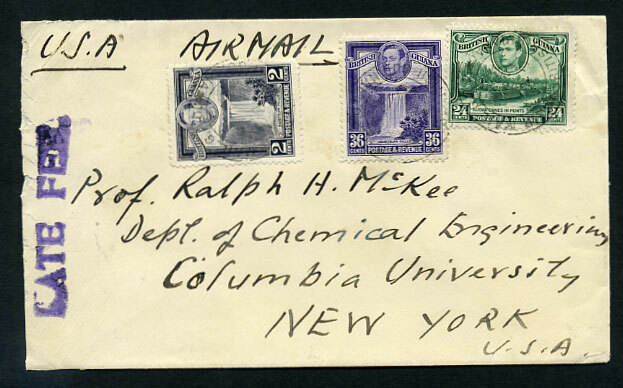 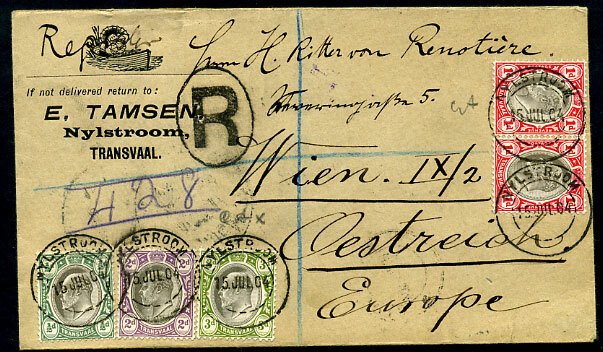 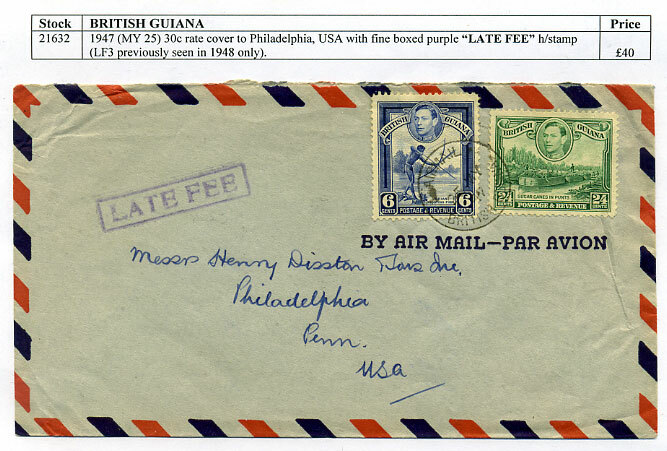 (similar T+H LF2) in violet on JA 2 39 KG6 cover to New York. 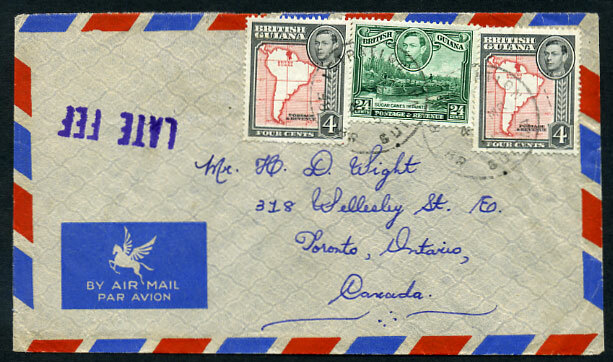 (LF4) in violet on 4 MR 54 KG6 cover to Toronto, light strikes REGISTRATION skeleton.